The 2014 Nissan Armada is a rugged full-size SUV that has seating for up to eight passengers and enough power to easily haul the boat to the lake. Onlookers will be know it’s geared for power by simply glancing at its chiseled, muscular physique. Based off the capable Nissan Titan platform, there is no question that the 2014 Armada can tackle any job thrown its way. 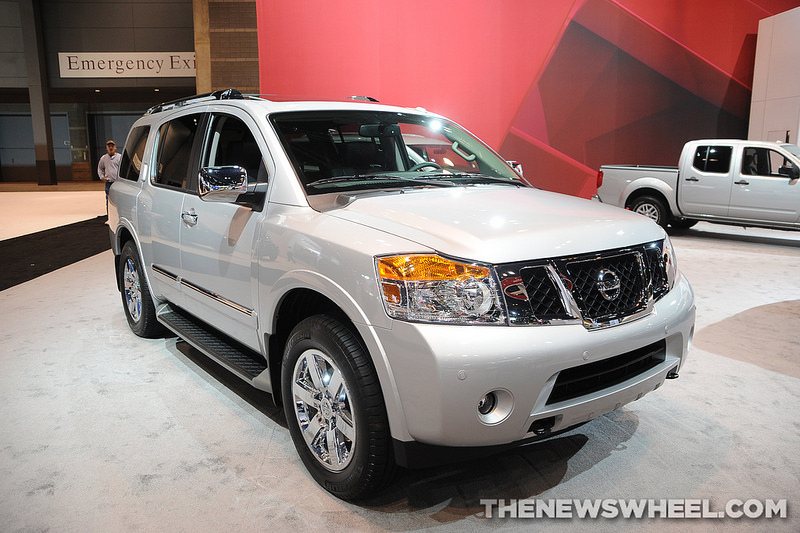 The 2014 Nissan Armada is powered by a highly capable 5.6-liter V8 that pumps out 317 horsepower and 385 lb-ft of torque. 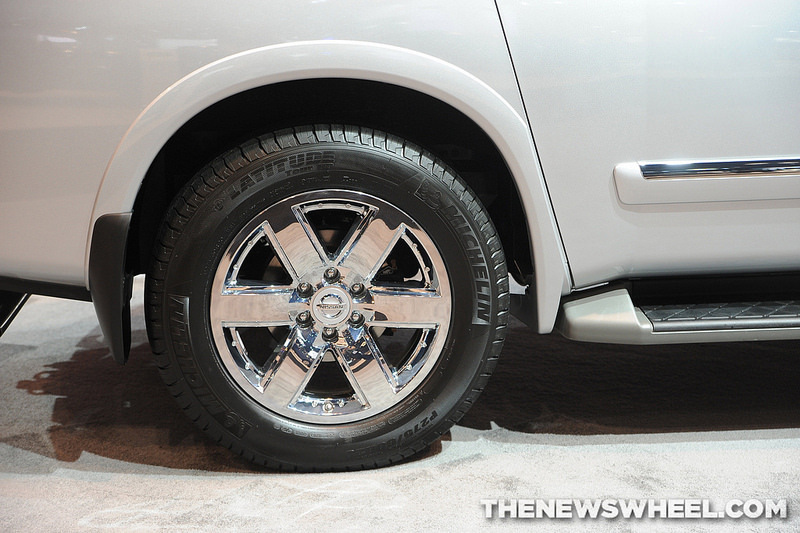 The impressive V8 allows the 2014 Armada to tow up to 9,100 pounds when properly equipped. As is the case with most eight-passenger full-size SUVs, the high-performing V8 doesn’t boast the best fuel economy rating. The 2014 Nissan Armada returns 13 mpg city and 19 mpg highway. Ample space inside the 2014 Nissan Armada ensures that all eight passengers can travel comfortably, and a slew of technological features ensure they will be entertained as well. These features include a seven-inch touchscreen, navigation, rear-seat DVD entertainment system with dual seven-inch screen, a Bose audio system, and Bluetooth connectivity. Standard safety features on the 2014 Nissan Armada include rear parking sensors, stability and traction control, antilock disc brakes, active head restraints, and a comprehensive suite of airbags. Front parking sensors and a rearview camera are available on upper trims.